This elegant beach retreat in Whangapoua in the Coromandel Peninsula, New Zealand has a large shutter to protect against the elements and can close up when not in use. 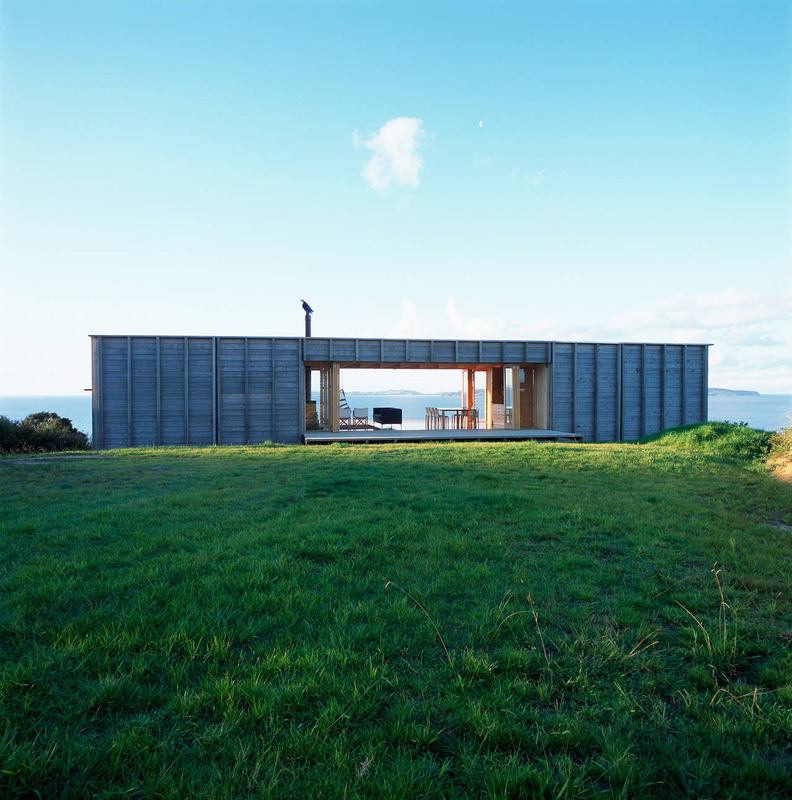 Crosson Clarke Carnachan Architects designed the beach cabin on sleds which allows the structure to be moved as the site is located within the coastal erosion zone. 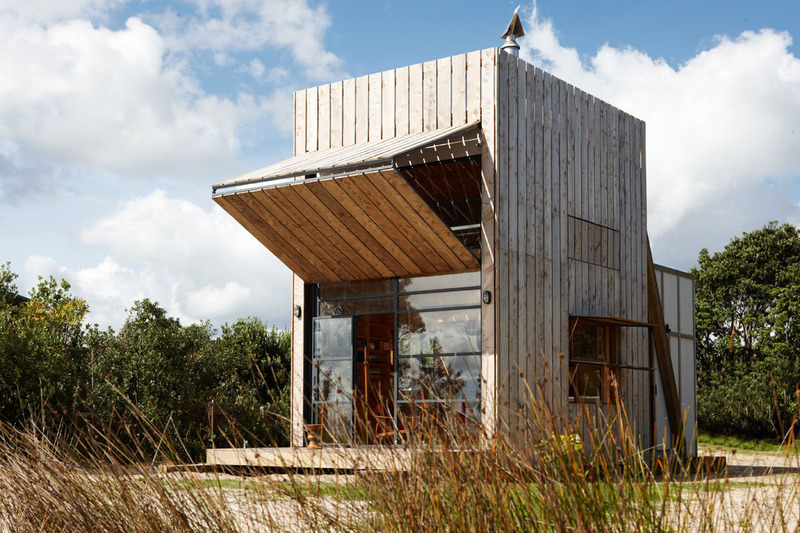 Located in Coromandel in the North Island of New Zealand, this container house captures the beautiful simplicity of living with nature. Natural timber provides a seamless connection to its surroundings.